German sports broadcast outfit Sport1 has struck a deal with the German football league, the DFL, to offer highlights from the latter’s Virtual Bundesliga eSports competition on its platform. Coverage of the VBL club championship, playoffs and grand final will be aired on free sports channel Sport1 and new pay TV offering eSports1 as well as via the broadcaster’s streaming apps and on the web. Sport1 has previously aired coverage of the VBL free-to-air on Sport1, but the live rights to this year’s season were awarded exclusively to ProSiebenSat.1. 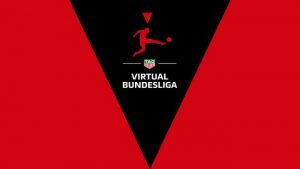 Daniel von Busse, chief operating officer, TV at Sport1, said that the broadcasting of popular FIFA events had “met with great interest among our viewers in recent years” and that coverage of the newly structured VBL on Sport1, along with new magazine show Inside eSports, would provide “the perfect setting” for highlights of this year’s competition.